In the first of a two part interview, Matthew Taylor Blais and Manny Mahal join Alexander to discuss their film Forest Movie, which premiered at VIFF in 2017 as part of the Future//Present program. They also prognosticate on the future of film consumption, and how the theatre and home viewing environments provide fundamentally different experiences for the viewer. 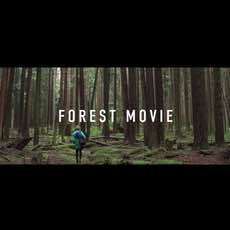 Follow Matt on Twitter as @matttblais and demand to see Forest Movie. Look for Manny's films through Sital Cinema on YouTube.